Covers data model, architecture, partitioning, strategies, indexes, libraries in various languages, and more. ► Who Is Using Cassandra? Apache Cassandra is a high-performance, extremely scalable, fault tolerant (i.e., no single point of failure), distributed non-relational database solution. Cassandra combines all the benefits of Google Bigtable and Amazon Dynamo to handle the types of database management needs that traditional RDBMS vendors cannot support. DataStax is the leading worldwide commercial provider of Cassandra products, services, support, and training. Cassandra is in use at Netflix, Twitter, Urban Airship, Constant Contact, Reddit, Cisco, OpenX, Rackspace, Ooyala, and more companies that have large active data sets. The largest known Cassandra cluster has more than 300 TB of data across more than 400 machines. Success or failure for inserts/deletes in a single partition (one or more rows in a single partition). No consistency in the ACID sense. Can be tuned to provide more consistency or to provide more availability. The consistency is configured per request. Since Cassandra is a distributed database, traditional locking and transactions are not possible (there is, however, a concept of lightweight transaction which should be used very carefully). Favors consistency over availability tunable via isolation levels. Durability Writes are durable to a replica node, being recorded in memory and the commit log before acknowledged. In the event of a crash, the commit log replays on restart to recover any lost writes before data is flushed to disk. Typically, data is written to a single master node, sometimes configured with synchronous replication at the cost of performance and cumbersome data restoration. Multi-Datacenter Replication Native and out-of-the-box capabilities for data replication over lower bandwidth, higher latency, less reliable connections. Typically only limited long-distance replication to read-only slaves receiving asynchronous updates. Security Coarse-grained and primitive. Fine-grained access control to objects. Cassandra has a simple schema comprising keyspaces, tables, partitions, rows, and columns. Note that, since Cassandra 3.x terminology is altered due to changes in the storage engine, a “column family” is now a table and a “row” is now a partition. The keyspace is akin to a database or schema in RDBMS and contains a set of tables. A keyspace is also the unit for Cassandra's access control mechanism. When enabled, users must authenticate to access and manipulate data in a schema or table. A table, previously known as a column family, is a map of rows. Similar to RDBMS, a table is defined by a primary key. The primary key consists of a partition key and clustering columns. The partition key defines data locality in the cluster, and the data with the same partition key will be stored together on a single node. The clustering columns define how the data will be ordered on the disk within a partition. The client application provides rows that conform to the schema. Each row has the same fixed subset of columns. As values for these properties, Cassandra provides the following CQL data types for columns (ref: DataStax documentation). ascii Efficient storage for simple ASCII strings. Arbitrary number of ASCII bytes (i.e., values are 0-127). boolean True or False. Single byte. blob Arbitrary byte content. Arbitrary number of byes. CompositeType A single type comprising sub-components each with their own types. An arbitrary number of bytes comprising concatenated values of the subtypes..
counter Used for counters, which are cluster-wide incrementing values. 8 bytes. timestamp Stores time in milliseconds. 8 bytes. Value is encoded as a 64-bit signed integer representing the number of nanoseconds since midnight. Values can be represented as strings, such as 13:30:54.234.
decimal Stores BigDecimals. 4 bytes to store the scale, plus an arbitrary number of bytes to store the value. double Stores Doubles. 8 bytes. float Stores Floats. 4 bytes. tinvint Stores 1-byte integer 1 byte. smallint Stores 2-byte integer. 2 bytes. int Stores 4-byte integer. 4 bytes. varint Stores variable precision integer. An arbitraty number of bytes used to store the value. bigint Stores Longs. 8 bytes. text, varchar Stores text as UTF8. UTF8. timeuuid Version 1 UUID only. 16 bytes. uuid Suitable for UUID storage. 16 bytes. A frozen value serializes multiple components into a single value. Non-frozen types allow updates to individual fields. Cassandra treats the value of a frozen type as a blob. The entire value must be overwritten. IP address string in IPv4 or IPv6 format, used by the python-cql driver and CQL native protocols. A collection of one or more ordered elements: [literal, literal, literal]. A group of 2-3 fields. Cassandra 3.x supports tables defined with composite primary keys. The first part of the primary key is a partition key. Remaining columns are clustering columns and define the order of the data on the disk. In that case, the “(country, town)” pair is a partition key (a composite one). All the users with the same “(country, town)” values will be stored together on a single node and replicated together based on the replication factor. The rows within the partition will be ordered by “birth_year” and then by “user_id”. The “user_id” column provides uniqueness for the primary key. If the partition key is not separated by parentheses, then the first column in the primary key is considered a partition key. For example, if the primary key is defined by “(country, town, birth_year, user_id)”, then “country” would be the partition key and “town” would be a clustering column. A column is a triplet: key, value, and timestamp. The validation and comparator on the column family define how Cassandra sorts and stores the bytes in column keys. The timestamp portion of the column is used to sequence mutations. The timestamp is defined and specified by the client. Newer versions of Cassandra drivers provide this functionality out of the box. Client application servers should have synchronized clocks. Columns may optionally have a time-to-live (TTL), after which Cassandra asynchronously deletes them. Note that TTLs are defined per cell, so each cell in the row has an independent time-to-live and is handled by the Cassandra independently. Using the “sstabledump” tool, you can inspect how the data is stored on the disk. This is very important if you want to develop intuition about data modeling, reads, and writes in Cassandra. Here is an example from a DataStax blog post. Cassandra uses a ring architecture. The ring represents a cyclic range of token values (i.e., the token space). Since Cassandra 2.0, each node is responsible for a number of small token ranges defined by the “num_tokens” propery in cassandra.yml). Since the Random Partitioner uses an MD5 hash function to map keys into tokens, on average those keys will evenly distribute across the cluster. For this reason, RandomPartitioner is the default partitioner. This may result in following ring formation, where "collin", "owen", and "lisa" are rowkeys. With Cassandra’s storage model, where each node owns the preceding token space, this results in the following storage allocation based on the tokens. Notice that the keys are not in order. With RandomPartitioner, the keys are evenly distributed across the ring using hashes, but you sacrifice order, which means any range query needs to query all nodes in the ring. Murmur3 partitioner is the default partitioner since Cassandra 1.2. The Murmur3Partitioner provides faster hashing and improved performance than the RandomPartitioner. The Murmur3Partitioner can be used with vnodes. The Order Preserving Partitioners preserve the order of the row keys as they are mapped into the token space. "collin" < "lisa" < "owen"
With OPP, range queries are simplified and a query may not need to consult each node in the ring. This seems like an advantage, but it comes at a price. Since the partitioner is preserving order, the ring may become unbalance unless the rowkeys are naturally distributed across the token space. To manually balance the cluster, you can set the initial token for each node in the Cassandra configuration. If possible, it is best to design your data model to use Murmur3 Partitioner to take advantage of the automatic load balancing and decreased administrative overhead of manually managing token assignment. Cassandra provides high availability and fault tolerance through data replication. The replication uses the ring to determine nodes used for replication. Replication is configured on the keyspace level. Each keyspace has an independent replication factor, n. When writing information, the data is written to the target node as determined by the partitioner and n-1 subsequent nodes along the ring. There are two replication strategies: SimpleStrategy and NetworkTopologyStrategy. The SimpleStrategy is the default strategy and blindly writes the data to subsequent nodes along the ring. This strategy is NOT RECOMMENDED for a production environment. In the previous example with a replication factor of 2, this would result in the following storage allocation. The NetworkTopologyStrategy is useful when deploying to multiple data centers. It ensures data is replicated across data centers. Effectively, the NetworkTopologyStrategy executes the SimpleStrategy independently for each data center, spreading replicas across distant racks. Cassandra writes a copy in each data center as determined by the partitioner. Data is written simultaneously along the ring to subsequent nodes within that data center with preference for nodes in different racks to offer resilience to hardware failure. All nodes are peers and data files can be loaded through any node in the cluster, eliminating the single point of failure inherent in master-slave architecture and making Cassandra fully fault-tolerant and highly available. With blue nodes deployed to one data center (DC1), green nodes deployed to another data center (DC2), and a replication factor of two per each data center, one row will be replicated twice in Data Center 1 (R1, R2) and twice in Data Center 2 (R3, R4). NOTE: Cassandra attempts to write data simultaneously to all target nodes then waits for confirmation from the relevant number of nodes needed to satisfy the specified consistency level. One of the unique characteristics of Cassandra that sets it apart from other databases is its approach to consistency. Clients can specify the consistency level on both read and write operations trading off between high availability, consistency, and performance. The write was written in at least one node’s commit log. Provides low latency and a guarantee that a write never fails. Delivers the lowest consistency and highest availability. A write must be sent to, and successfully acknowledged by, at least one replica node in the local datacenter. A write is successfully acknowledged by at least one replica (in any DC). A write is successfully acknowledged by at least two replica  s.
A write is successfully acknowledged by at least three replicas. A write is successfully acknowledged by at least n/2+1 replicas, where n is the replication factor. A write is successfully acknowledged by at least n/2+1 replicas within the local data center. A write is successfully acknowledged by at least n/2+1 replicas within each data center. A write is successfully acknowledged by all n replicas. This is useful when absolute read consistency and/or fault tolerance are necessary (e.g., online disaster recovery). Returns a response from the closest replica, as determined by the snitch. Returns the most recent data from two of the closest replicas. Returns the most recent data from three of the closest replicas. Returns the record after a quorum (n/2 +1) of replicas from all data centers that responded. Returns the record after a quorum of replicas in the current data center, as the coordinator has reported. Avoids latency of communication among data centers. As input into the replication strategy and to efficiently route communication, Cassandra uses a snitch to determine the data center and rack of the nodes in the cluster. A snitch is a component that detects and informs Cassandra about the network topology of the deployment. The snitch dictates what is used in the strategy options to identify replication groups when configuring replication for a keyspace. N4 3 2 As determined by partitioner in DC1. N2 1 1 As determined by partitioner in DC2. N6 4 2 Preference shown for Rack 4 (over Rack 3). N3 1 1 Written to same rack hosting N2 since no other rack was available. The following table shows the four snitches provided by Cassandra and what you should use in your keyspace configuration for each snitch. SimpleSnitch Specify only the replication factor in your strategy options. PropertyFileSnitch Specify the data center names from your properties file in the keyspace strategy options. Specify the data center names from your properties file in the keyspace strategy options. RackInferringSnitch Specify the second octet of the IPv4 address in your keyspace strategy options. EC2Snitch Specify the region name in the keyspace strategy options. Specify the region name in the keyspace strategy options. The SimpleSnitch provides Cassandra no information regarding racks or data centers. It is the default setting and is useful for simple deployments where all servers are collocated. It is not recommended for a production environment, as it does not provide failure tolerance. The PropertyFileSnitch allows users to be explicit about their network topology. The user specifies the topology in a properties file, cassandra-topology.properties. The file specifies which nodes belong to which racks and data centers. Below is an example property file for our sample cluster. This snitch is recommended for production. It uses rack and data center information for the local node defined in the cassandra-rackdc.properties file and propagates this information to other nodes via gossip. Unlike PropertyFileSnitch which contains topology for the entire cluster on every node, GossipingPropertyFileSnitch contains DC and rack information only for the local node. Each node describes and gossips its location to other nodes. The EC2Snitch is useful for deployments to Amazon's EC2. It uses Amazon's API to examine the regions to which nodes are deployed. It then treats each region as a separate data center. Use this snitch for deployments on Amazon EC2 where the cluster spans multiple regions. This snitch treats data centers and availability zones as racks within a data center and uses public IPs as broadcast_address to allow cross-region connectivity. Cassandra nodes in one EC2 region can bind to nodes in another region, thus enabling multi-data center support. Hot tip: Pay attention which snitch you are using and which file you are using to define the topology. Some of the snitches use cassandra-topology.properties file and the other, newer ones use cassandra-rackdc.properties file. Cassandra provides simple primitives. Its simplicity allows it to scale linearly with high availability and very little performance degradation. That simplicity allows for extremely fast read and write operations for specific keys, but servicing more sophisticated queries that span keys requires pre-planning. Using the primitives that Cassandra provides, you can construct indexes that support exactly the query patterns of your application. Note, however, that queries may not perform well without properly designing your schema. Hot tip: Try to avoid indexes whenever possible. It is (almost) always a better idea to denormalize data and create a separate table that satisfies a particular query than it is to create an index. It is important to consider partitioning when designing your schema to support range queries. Since order is preserved, order preserving partitioners better supports range queries across a range of rows. 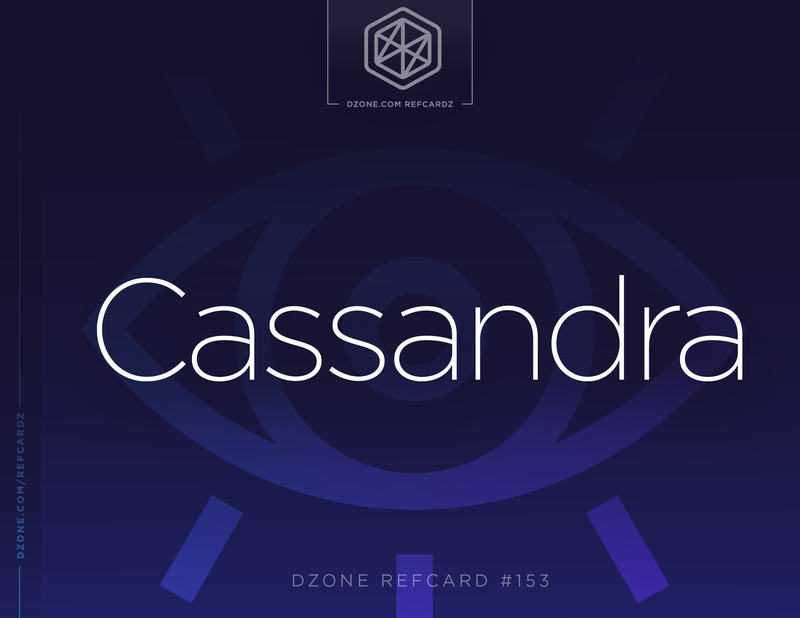 Cassandra only needs to retrieve data from the subset of nodes responsible for that range. For example, if we are querying against a column family keyed by phone number and we want to find all phone numbers between that begin with 215-555, we could create a range query with start key 215-555-0000 and end key 215-555-9999. To service this request with OrderPreservingPartitioning, it’s possible for Cassandra to compute the two relevant tokens: token(215-555-0000) and token(215-555-9999). Then satisfying that querying simply means consulting nodes responsible for that token range and retrieving the rows/tokens in that range. Hot tip: Try to avoid queries multiple partitions whenever possible. The data should be partitioned based on the access patterns, so it is a good idea to group the data in a single partition (or several) if such queries exist. If you have too many range queries that cannot be satisfied by looking into several partitions, you may want to rethink whether Cassandra is the best solution for your use case. The RandomPartitioner provides no guarantees of any kind between keys and tokens. In fact, ideally row keys are distributed around the token ring evenly. Thus, the corresponding tokens for a start key and end key are not useful when trying to retrieve the relevant rows from tokens in the ring with the RandomPartitioner. Consequently, Cassandra must consult all nodes to retrieve the result. Fortunately, there are well known design patterns to accommodate range queries. These are described below. There are a few design patterns to implement indexes. Each services different query patterns. The patterns leverage the fact that Cassandra columns are always stored in sorted order and all columns for a single row reside on a single host. First, let’s consider the inverted index pattern. In an inverted index, columns in one row become row keys in another. Consider the following data set, where users IDs are row keys. Without indexes, searching for users in a specific Zip Code would mean scanning our Users column family row-by-row to find the users in the relevant Zip Code. Obviously, this does not perform well. To remedy the situation, we can create a column family that represents the query we want to perform, inverting rows and columns. This would result in the following column family. Since each row is stored on a single machine, Cassandra can quickly return all user IDs within a single Zip Code by returning all columns within a single row. Cassandra simply goes to a single host based on token(zipcode) and returns the contents of that single row. When working with time series data, consider partitioning data by time unit (hourly, daily, weekly, and so on), depending on the rate of events. That way, all the events in a single period (e.g., one hour) are grouped together and can be fetched and/or filtered based on the clustering columns. TimeWindowCompactionStrategy is specifically designed to work with time series data and is recommended in this scenario. The TimeWindowCompactionStrategy compacts the all the SSTables in a single partition per time unit. This allows for extremely fast reads of the data in a single time unit because it guarantees that only one SSTable will be read. When working with time series data, consider storing the complete set of data for each event in the timeline itself by serializing the entire event into a single column value or by using composite column names of the form < timestamp > : < event_field >. Unless the data for each event is very large, this approach scales well with large data sets and provides efficient reads. Fetch a time slice of events by reading a contiguous portion of a row on one set of replicas. When you track the same event in multiple timelines, denormalizing and storing all of the event data in each of the timelines works well. are . . . "} 39f71a85-7af0 . . .
"body": "Yes, . . .
is . . ."} aa33bgbfd-8f16 . . . When you use composite keys in CQL, Cassandra supports wide Cassandra rows using composite column names. In CQL 3, a primary key can have any number (1 or more) of component columns, but there must be at least one column in the column family that is not part of the primary key. The new wide row technique consumes more storage because for every piece of data stored, the column name is stored along with it. Wide-Row indexes can cause hotspots in the cluster. Since the index is a single row, it is stored on a single node (plus replicas). If that is a heavily used index, those nodes may be overwhelmed. The previous examples were one-dimensional and used a simple concatenation to illustrate the point. Instead, you may prefer to use composite keys and/or values in your data model. Simply create a composite type containing the Zip Code and the date of birth and use that as the column name in the index. Finally, it is worth noting that each of the indexing strategies as presented would require two steps to service a query if the request requires the actual column data (e.g., user name). The first step would retrieve the keys out of the index. The second step would fetch each relevant column by row key. We can skip the second step if we denormalize the data. In Cassandra, denormalization is the norm. If we duplicate the data, the index becomes a true materialized view that is custom tailored to the exact query we need to support. Everything in Cassandra is a write, typically referred to as a mutation. Since Cassandra is effectively a key-value store, operations are simply mutations of a key/value pairs. The column is atomic, but the fundamental unit is a row in the ACID sense. If you have multiple updates to the same key, group the changes into a single update. When performing multiple operations on the same key in sequence, be sure to increment the timestamp! Do not simply specify System.currentTimeMillis(). If the code executes too quickly, the mutations will have the same timestamp and Cassandra will not be able to determine the proper sequencing of events. Similar to ReadRepair, hinted handoff is a background process that ensures data integrity and eventual consistency. If a replica is down in the cluster, the remaining nodes will collect and temporarily store the data that was intended to be stored on the downed node. If the downed node comes back online soon enough (configured by “max_hint_window_in_ms” option in cassandra.yml) other nodes will “hand off” the data to it. This way Cassandra smooths out short network or other outages out-of-the-box. Cassandra keeps record of deleted values for some time to support the eventual consistency of distributed deletes. These values are called tombstones. Tombstones are purged after some time (GCGraceSeconds, which defaults to 10 days). Since tombstones prevent improper data propagation in the cluster, you will want to ensure that you have consistency before they get purged. The repair command replicates any updates missed due to downtime or loss of connectivity. This command ensures consistency across the cluster and obviates the tombstones. You will want to do this periodically on each node in the cluster (within the window before tombstone purge). The repair process is greatly simplified by using a tool called Cassandra Reaper (originally developed and open-sourced by Spotify, but taken over and improved by The Last Pickle). Cassandra has support for monitoring via JMX, but the simplest way to monitor the Cassandra node is by using OpsCenter, which is designed to manage and monitor Cassandra database clusters. There is a free community edition as well as an enterprise edition that provides management of Apache SOLR and Hadoop. The following are key attributes to track per column family. Frequency of reads against the column family. Latency of reads against the column family. Frequency of writes against the column family. Latency of writes against the column family. Queue of pending tasks, informative to know if tasks are queuing. cassandra-diagnostics or Jolokia for exposing/shipping JMX metrics. Grafana or Prometheus for displaying the metrics. This will create a snapshot directory in each keyspace data directory. Restoring the snapshot is then a matter of shutting down the node, deleting the commitlogs and the data files in the keyspace, and copying the snapshot files back into the keyspace directory. Cassandra has a very active community developing libraries in different languages. Inspired by Hector, Astyanax is a client library developed by the folks at Netflix. Hector is one of the first APIs to wrap the underlying Thrift API. Hector is one of the most commonly used client libraries. Pycassa is the most well known Python library for Cassandra. 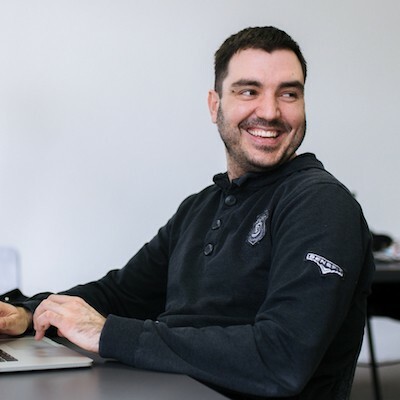 PDO A CQL (Cassandra Query Language) driver for PHP. Ruby has support for Cassandra via a gem. Virgil is a java-based REST client for Cassandra. This may result in following ring formation, where \"collin\", \"owen\", and \"lisa\" are rowkeys. \"collin\" < \"lisa\" < \"owen\"
A write is successfully acknowledged by at least two replica s.
are . . . \"} 39f71a85-7af0 . . .
\"body\": \"Yes, . . .
is . . .\"} aa33bgbfd-8f16 . . .